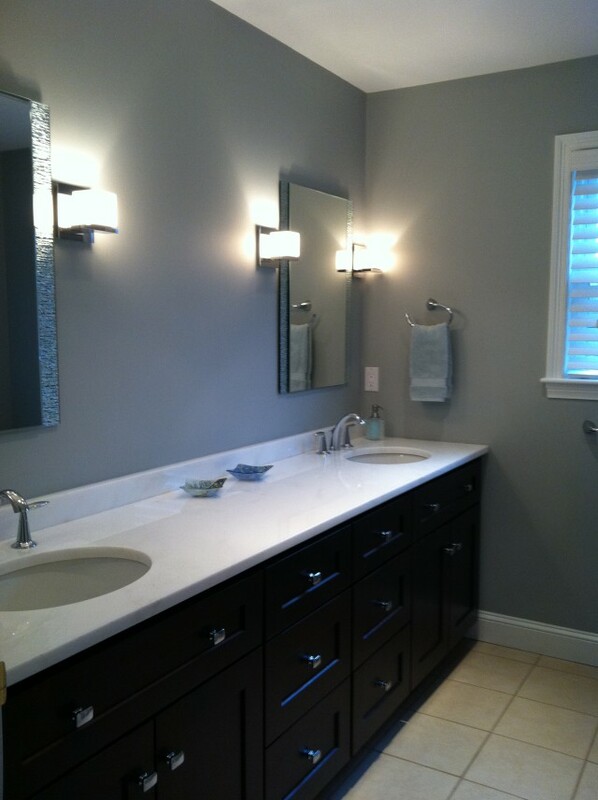 This serene bathroom is made modern by a cool wall color and white natural stone countertops. The rhino white quartzite stone is lightly veined and semi-translucent, giving the bath a spa-like atmosphere. Espresso cabinets are accented by chrome hardware and fittings. 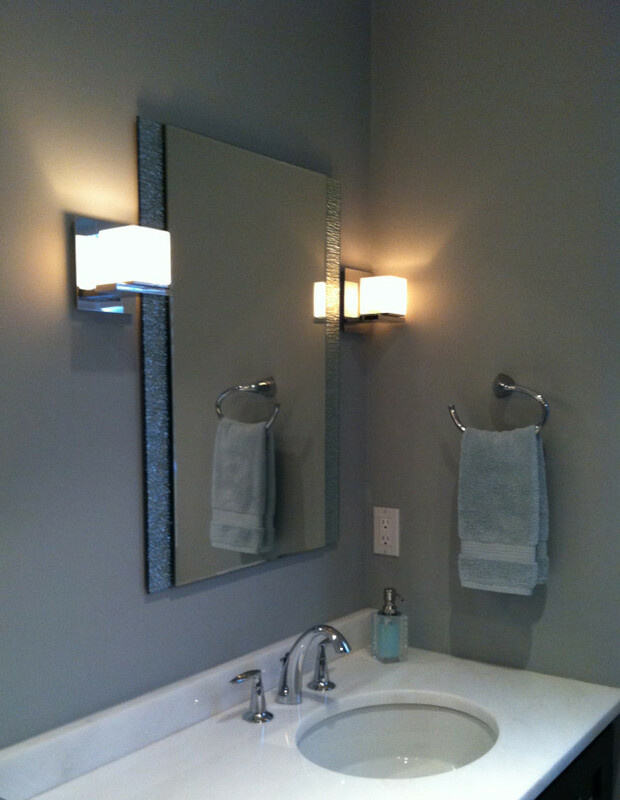 The contemporary mirrors feature a molten glass border. 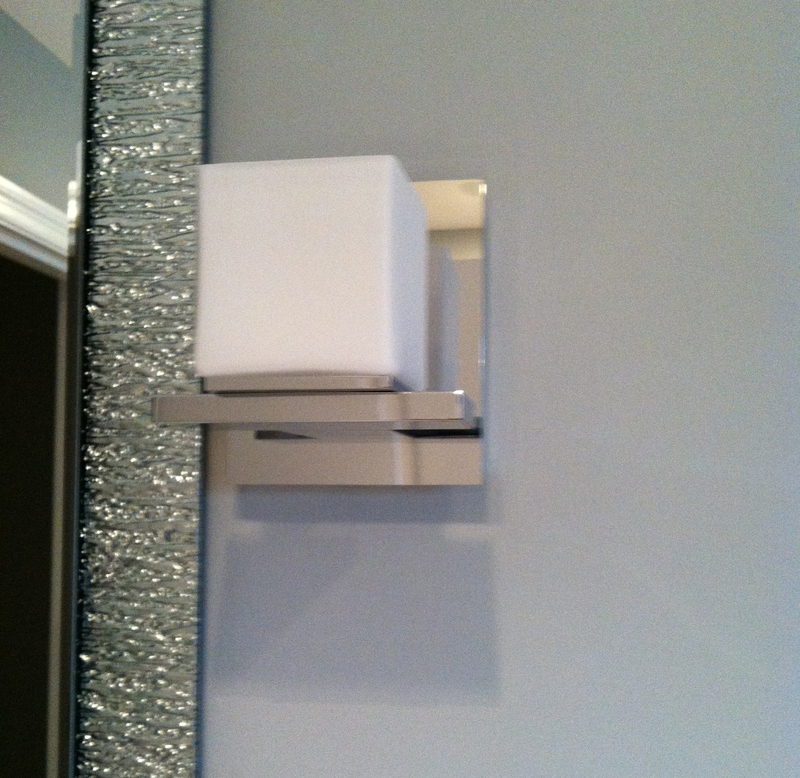 A detail of the contemporary glass and chrome sconces and molten glass mirror frame.